2006: SUPERMAN II - The Richard Donner Cut | Warped Factor - Words in the Key of Geek. Matthew Kresal looks back at the Richard Donner cut of Superman II, which was finally completed and released to the public in 2006. 2006 was a big year for the man of steel. Not only was there a Superman movie in cinemas for the first time in nearly two decades, but there was a chance to see one particular Superman film for the first time again. 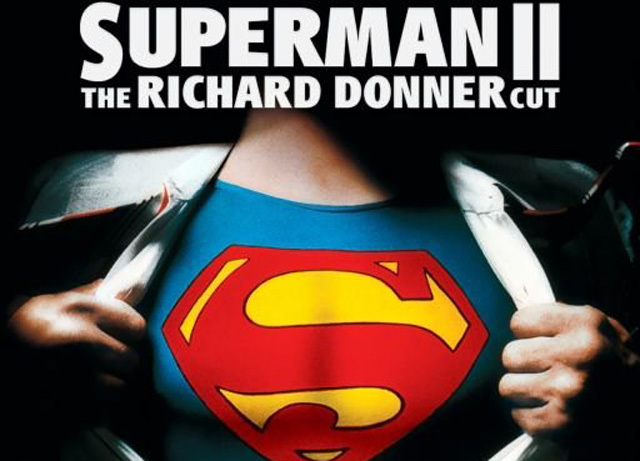 More than a quarter of a century after the original cinema release of Superman II, The Richard Donner Cut of the film brought to an end years of debate and fan wishes by presenting an opportunity to see a number of elements missing from the original 1980 release, from Marlon Brando's Jor-El to scenes shot but deleted by the film's eventual director Richard Lester. The result is a quite different take on Christopher Reeve's sophomore outing as Superman. 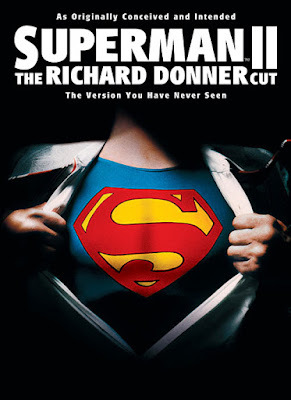 Why is there a Richard Donner Cut of Superman II at all you may wonder. Well as Geek Dave discussed in his 10 Things You Might Not Know About Superman II article, Superman: The Movie and Superman II began in April 1977 with Richard Donner (then fresh off the horror film The Omen) directing while Alexander & Ilya Salkind and Pierre Spengler produced the film. With the production going on for well over a year, Donner was eventually forced to stop work on the second film so that the first film could be finished in time for an already delayed release date of Christmas 1978. By the time Superman: The Movie did open, relations between Donner and the producers had soured completely. In March 1979, Donner was officially let go and was eventually replaced by Richard Lester who had directed the Salkinds previous successes The Three Musketeers and The Four Musketeers. The film released in cinemas in 1980-81 as Superman II thus ended up quite different from what had begun being filmed in 1977. Once Donner left, a number of key production team members didn't come back either including Gene Hackman and composer John Williams. Perhaps the biggest change involved Marlon Brando who, in his thirteen days on the shoot, had shot material for the second film as well. In what appears to have been spurned by Brando suing the producers to receive his contracted percentage of the first film's box-office, Brando was entirely excised from the eventual version of Superman II to be replaced by Susannah York playing Lara. Lester's film also brought a change of emphasis away from the tone of “verisimilitude” that Donner and writer Tom Mankiewicz had brought to Superman: The Movie and more towards a slightly more campy tone. In the end, Lester re-filmed sequences or indeed replaced them all together to the point that Donner would not receive any credit on the film when it was released in cinemas. The story though doesn't end there. A fair amount of Donner's footage remains in the Lester Superman II and even more footage was inserted into the film's TV screenings. 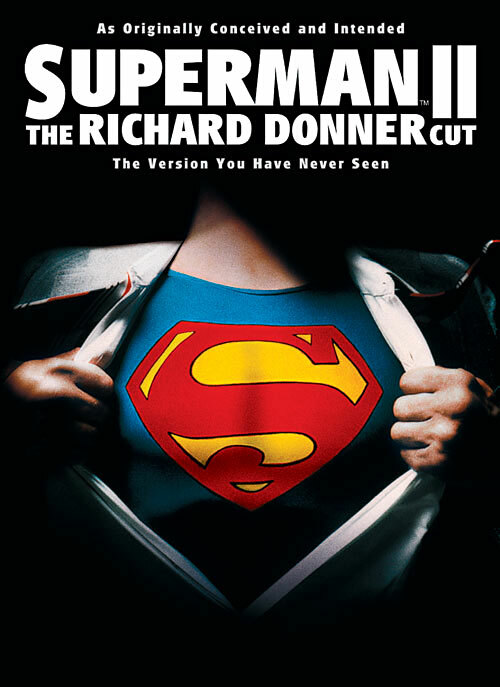 It was only with the 2000 DVD release of the first film with material re-insterted into the film by editor Michael Thau that the ball got rolling on the possibility of seeing a Donner cut of Superman II. Spurned on by an an internet campaign that gained traction with the making of Superman Returns and the release of the fan edit Superman II: Restored International Cut, interest only continued to grow. It wasn't until the clearance for Brando footage to appear in Superman Returns that the rights issues finally cleared up and Warner Brothers finally gave the okay for Donner and Thau to complete a new cut of the film that was released to the public in November 2006. The result was a very different film from the one released in 1980. Perhaps the biggest alteration was the inclusion of some fifteen minutes worth of material of Marlon Brando. While the scenes effectively contain much the same dialogue as the re-shot scenes with Susannah York, the tone for the Brando scenes were almost radically different. The line readings by both Reeve and Brando are vastly different with some genuine tension in the scene where the son goes against his father's advice and gives up his powers, vastly different from the almost overly sentimental tone given to the re-shot scenes. Nowhere is the change more different than in the scene where Clark, after learning of Zod's presence on Earth and trekking across the Arctic landscape, returns to the now quiet and desolate Fortress Of Solitude. The 1980 cinema release ends with a tantalizing hint of a scene that never gets fulfilled there, but does here. Brando's appearance and the way the scene is played gives the moment a power that it lacked previously as the love of the father for his son comes to a visually dazzling but also emotional power. Indeed, it may well be the single best scene to come out of the Reeve's Superman films, which makes it a shame that it wasn't seen until after both actors had passed away. The Brando scenes were just the icing on the cake. The Donner Cut is full of alternate/expanded scenes such as the escape of the three Krypton villains that ties in with the first film, Lois jumping out of a window at the Daily Planet after figuring out Clark is Superman (a sequence that was shifted to Niagara Falls for the Lester version) and a humorous expansion of Lex Luthor's prison escape. Arguably just as big a change as Brando's scenes is the originally written version of the scene where Clark reveals he's Superman, done because he's tricked by Lois with the scene having been reconstructed from the original screen tests, which leads to some continuity issues for more eagle eyed viewers. The scenes take familiar moments and present interesting (and more often than not improved) new takes on them. Then there's the final third of the film. The battle over Metropolis as seen in 1980 was a combination of efforts from both the film's directors, and the same can be said here. What's interesting though is the change of emphasis with many of Lester's more jokey moments removed to give us a more serious but just as action packed battle. From there we get a more dramatic final confrontation at the Fortress of Solitude where we see the scene as originally intended without the additional action elements (or obvious doubling of Gene Hackman) added to the Lester film. From there the film's entire ending changes from the destruction of the Fortress at the hands of Superman to Superman turning time back (the ending originally meant for this film but moved forward to Superman: The Movie with the unfulfilled intention of creating a new ending for the second film). Despite the reused ending, the changes across the board work, even with the necessary inclusion of some of Lester's footage to create something that is in every way an improvement over what audiences saw in 1980. The Donner Cut though does have two issues, both of which have really nothing to do with what was shot so much as it being reconstructed after decades. The biggest of the two is the inclusion of CGI sequences to make some of the 200 new effects shot in the film. When the film sticks to elements shot in the 1970s, the effects work as well as to be expected but the mixing and matching with CGI rarely does. The prime examples of this are moments during the battle over Metropolis such as Superman crashing into the Statue Of Liberty, or a moment where Non goes flying after Superman punches him. It is perhaps surprising that the original effects outshine those of nearly three decades later. Sound is the other issue. Due to the lack of dubbing (sometimes by actors not coming back, others by budget considerations), voices don't always match and there are times when the quality of voices shift wildly inside a scene, especially with Margot Kidder and Terrence Stamp. The score meanwhile, almost entirely reused from John Williams iconic score for the first film, more often than not works but there are times when it feels pasted on rather than an organic part of the film. These are relatively minor problems, though all too apparent at times. In the end, The Donner Cut of Superman II does what it sets out to do. It gives fans, critics and viewers the chance to see Superman II as its original writer and director by and large meant it to be. Free from the camp atmosphere that often hampers the Lester version, this is the true successor to Superman: The Movie in every way. It's just a shame that it took so long for it to see the light of the day but it stands as a tribute to Christopher Reeve, Marlon Brando and all those who made us believe a man could fly.